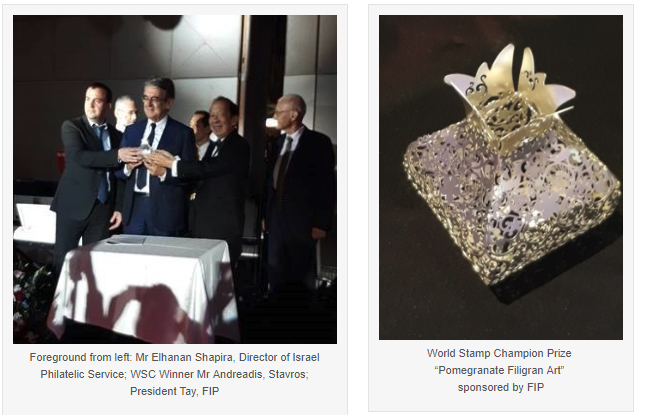 There were 5 candidates for the World Stamp Champion (WSC) in this exhibition and the winner with the majority of jury votes was Mr Andreadis, Stavros (Greece), for his exhibit “Kassandra Collection – Greece Large Hermes Heads”. There were four Grand Prix International candidates and the winner was Mr Kurt Kimmel (Switzerland) for his exhibit “Venezuela – The Classic Issues 1859-1879”. Grand Prix International prize “King of Jerusalem Seal”. Photo right: shows Mr Kurt Kimmel (right) who received his FIP Medal for Service from President Tay (left) during the 74th FIP Congress. 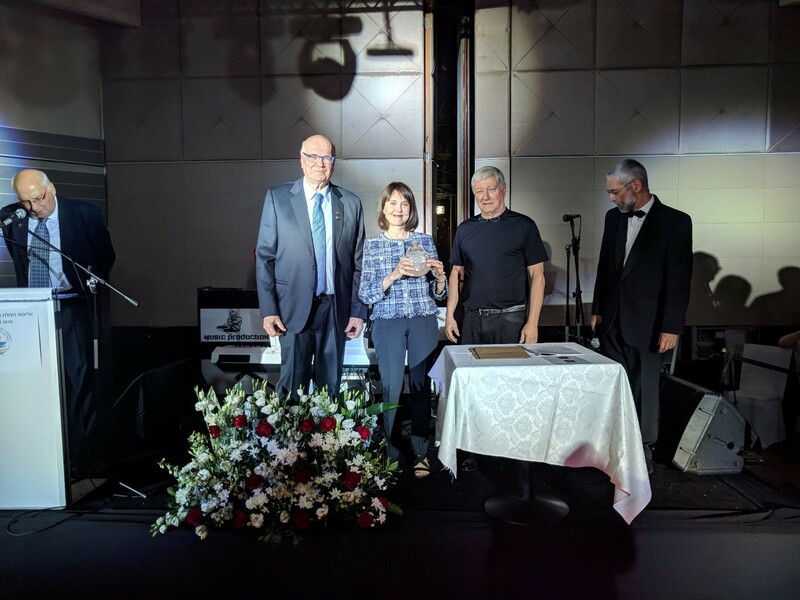 The Grand Prix National prize was awarded to the only candidate Ms Shaula Alexander (Israel) for her exhibit “Turkish Post in the Holy Land 1841-1918 Routes, Rates & Postmarks”. A total of 26 Large Gold medals and 44 Gold medals were awarded in this exhibition. Congratulations to all the exhibitors!